Excellent Condition, CARFAX 1-Owner, ONLY 5,981 Miles! 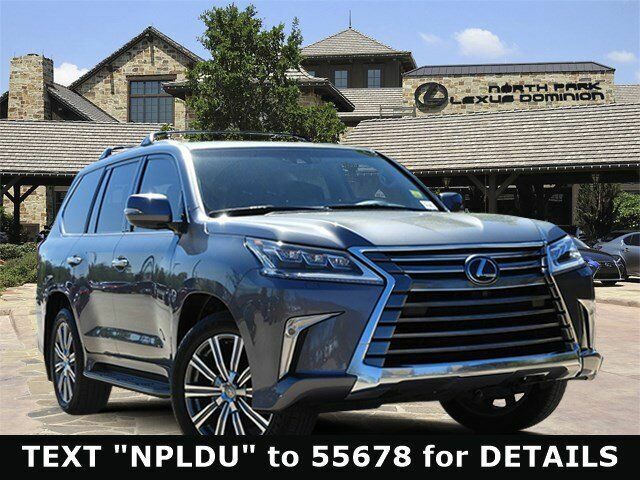 DVD, Heated Leather Seats, Sunroof, 3rd Row Seat, NAV, Tow Hitch, 4WD, Alloy Wheels, HEAD UP DISPLAY, LUXURY PACKAGE, ROOF RACK CROSS BARS, ACCESSORY PACKAGE (Z1) AND MORE! Navigation, Leather Seats, Third Row Seat, Back-Up Camera, 4WD, Power Liftgate, Rear Air, Running Boards, Satellite Radio, iPod/MP3 Input, Onboard Communications System, Trailer Hitch, Keyless Start, Dual Zone A/C, Blind Spot Monitor. Rear Spoiler, MP3 Player, Sunroof, Remote Trunk Release, Keyless Entry. RADIO: MARK LEVINSON AUDIO SYSTEM 19-speakers reference surround sound audio, 7.1-channel architecture, 450-watt amplifier rated at less than 0.1% Total Harmonic Distortion, DVD REAR SEAT ENTERTAINMENT SYSTEM 2 11.6" screens and 2 wireless headphones, LUXURY PACKAGE Climate Comfort Seats, heated and air conditioned front seats and rear outboard seats, HEAD UP DISPLAY, WHEELS: 21" X 8.5" 10-SPOKE ALUMINUM center cap, Tires: 275/50R21 All Season, ROOF RACK CROSS BARS, ACCESSORY PACKAGE (Z1) Cargo Net, Carpet Cargo Mat, Key Gloves, Alloy Wheel Locks (PPO), BLACK SHIMAMOKU WOOD/LEATHER HEATED STEERING WHEEL black shimamoku wood and leather door trim and black shimamoku instrument panel. Low Miles, Exceptionally Clean, Great Color.